Want your coffee strong? Welcome to Louie Craft Coffee. Named after the owners’ favourite pet, Louie is a joint venture between 2 very different sisters. Both of their varying talents helped to turn Louie into the joint that it is today. You’ll find locally roasted coffee beans and a personalized house blend for espresso. “I’d say that Liberty Village means community. It’s a fairly young community with lots of potential, and every day we get to witness and be a part of this ever-growing neighbourhood.” – Joanna Lee, Co-Owner. 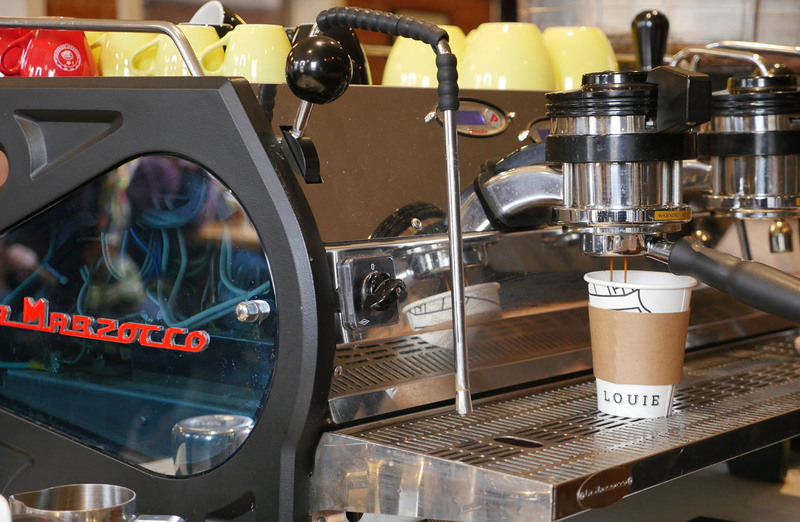 Keep warm this winter with Louie Craft Coffee! Our favourite is the flat white!